Born in San Marino in 1955, he graduated with honors from the Faculty of Architecture in Florence in 1980. Founding member of Antao. 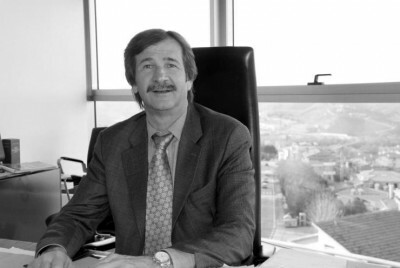 He believes in youth, having worked with professionists such as Prof. Leonardo Benevolo (Plan San Marino), Sir. Norman Foster (World Trade Center San Marino) Prof. Paolo Portoghesi and others. He is constantly dedicated to the development of projects and searching for Antao new skills and developing the field of research related to sustainable architecture. 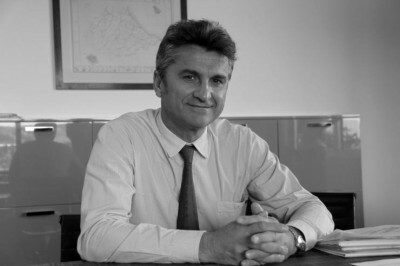 Born in San Marino in 1956, he graduated in Civil Engineering at the Faculty of Ancona in 1982 with the thesis on “Technology and economics of transport”. During the same year he began his professional career as a freelancer, and thanks to the collaboration with the architect Luigi Moretti, founded Antao. He is expecially keen on public infrastructure, roads planned interventions such as roads, bridges, overpasses, traffic plans and parking decks. He has always been committed to the development of new design concepts and solutions.